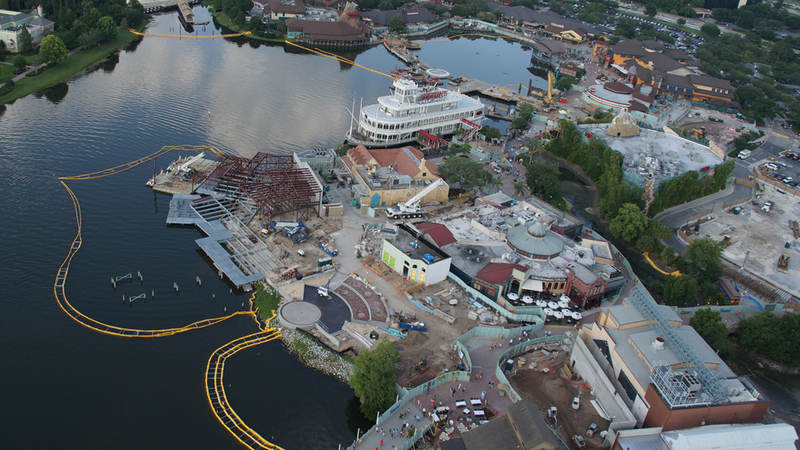 The “Characters In Flight” balloon now has a new name to complete its new look. The Characters in Flight helium balloon ride at Downtown Disney officially opened on April 21, 2009. 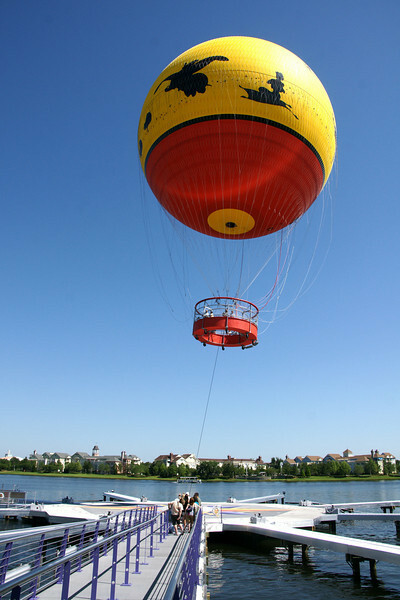 The balloon, operated by Aerophile, takes up to thirty guests 400 feet in the air for around five minutes, providing 360-degree views of all of Walt Disney World and the surrounding Orlando area. 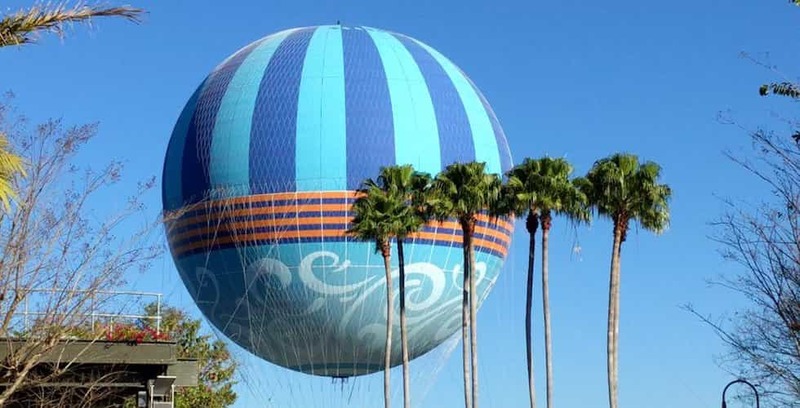 One of the most-discussed aspects of Characters in Flight so far has been the fact that medium-to-high winds (which often feel like nothing more than a nice breeze) can ground the balloon for an unspecified amount of time. Until a couple of days ago, the attraction seemed to be closed more than it was open. Even on its official opening day, invited media were unable to ride due to the winds. However, the winds have calmed down over the last couple of days and by 1 p.m. yesterday, Aerophile had already taken over 300 guests up into the skies above Walt Disney World. But Orlando certainly has its fair share of windy days, so to help you figure out if a trip to Downtown Disney to take a ride on Characters of Flight is a good choice, we’ve included a handy wind watcher on our new Characters in Flight guide. The wind speed and direction are gathered from a meter located at the Reedy Creek fire station, just down the road from Downtown Disney, so you can get the most accurate wind information possible before venturing out. 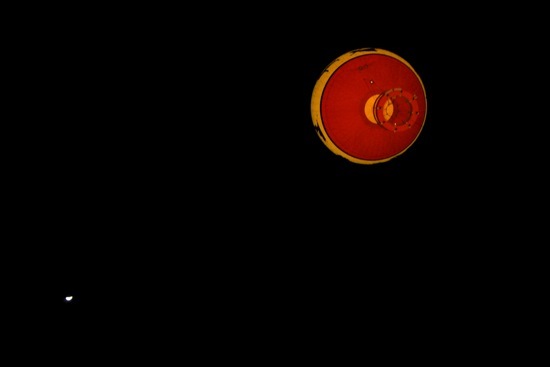 So how far can you see when you’re 400 feet in the air? You can easily spot Spaceship Earth at Epcot, the Tower of Terror at Disney’s Hollywood Studios, the Contemporary Resort, Space Mountain at the Magic Kingdom, and even downtown Orlando in the distance – normally a 30-40 minute drive away from Walt Disney World. For a better idea, check out this panoramic photo shot by Orlando Attractions Magazine photographer Matt Roseboom while up in the balloon. Be sure to click on the image below to open a larger version in our photo gallery. In attendance at the Characters in Flight grand opening were vice president of Downtown Disney Kevin Lansberry, general manager of Aerophile Erik Garcia, vice president of operating partners Keith Bradford, and 2009 Walt Disney World ambassador Vanessa Rosas. You can also download a copy of this video in our Video section, in both standard- and 720p high-definition. 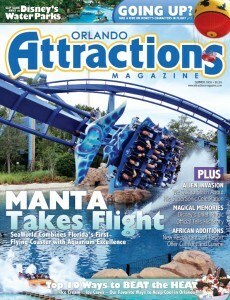 For more great Characters in Flight pictures, visit our photo gallery here. And if you know anyone who is going to attempt to take a ride, be sure to send them to our Characters in Flight guide first to check the wind speed.